Seventy-seven years ago, in a top-secret operation, a group of American volunteer pilots helped China fight off Japanese invaders. Their story has been told many ways over the years. On Saturday, it was presented as an opera in Los Angeles. "Green Path and Rainbow: the Story of the Flying Tigers and the Hump," put together by Yunnan Association of Southern California, the San Marino Griffins Lions Club and several other organizations, honored the 1,579 American and Chinese "Flying Tiger" airmen who lost their lives fighting the Japanese in the skies over China and crossing the Himalayas, or "Hump", from Burma to China to ferry supplies to the war effort. Guest speakers at the event included US Congresswoman Judy Chu, San Gabriel City Councilmember Chin Ho Liao and Jimmy Wu, community outreach deputy for Los Angeles County 5th District Supervisor Kathryn Barger. Chu thanked the "Flying Tigers" for their service and for giving hope to China and to the US at a point in World War II when hope was needed most. 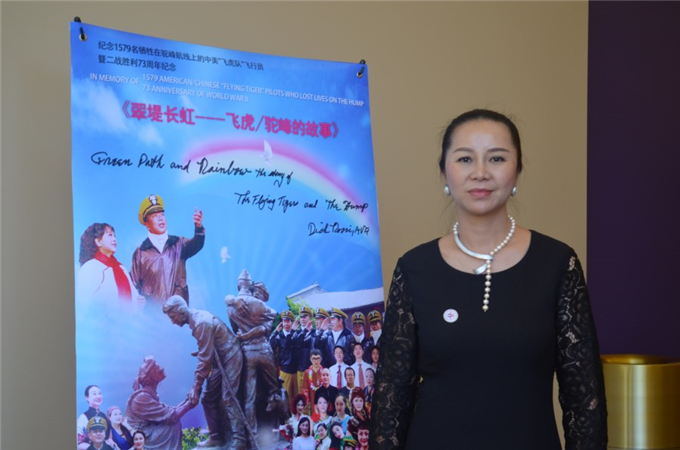 Jasmine Huang, president of Yunnan Association of Southern California, said she wanted to express the gratitude of the Chinese people to the Flying Tigers and to honor US-China cooperation. "The goal of this event is to let the American people know that we are grateful for their service, to encourage more people to learn about history and to remember the courageous Flying Tigers," Huang said. "I hope this opera will enhance the friendship between China and the US." The First American Volunteer Group (AVG) of the Chinese Air Force, nicknamed the "Flying Tigers", began as a group of almost 100 pilots from the US Army Air Corps, Navy and Marine Corps lead by US Army General Claire Chennault who helped China defend against Japanese bombers before the US officially entered the war. The AVG "Flying Tigers" was made up of three fighter squadrons, each with around 30 P-40 aircraft. The aviators destroyed nearly 300 Japanese bombers and fighters during seven months of combat between 1941 and 1942. The operation was based in Kunming, the largest city in southwestern China's Yunnan province. David Hayward, 96, one of the last surviving members of the Flying Tigers, said the opera took him back to his days fighting in China during World War II. "It reminds me of the fact that some of my very good friends lost their lives over there, helping the Chinese people drive the invaders out of their country," Hayworth said, "and I'm proud that my squadron had a part in helping to drive the invaders out of your country." Charlie Xu, president of the American Flying Tigers Communication Association and the nephew of Chennault's second wife Anna Chennault, said the Flying Tigers risked their lives to help the Chinese and it was a part of history that should not be forgotten. 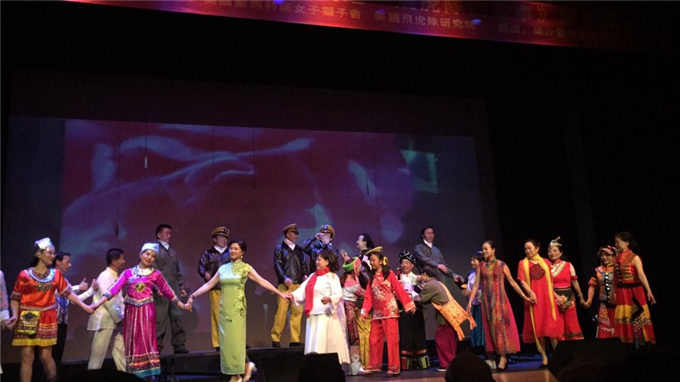 "At the time, the Flying Tigers traveled across the world to help Kunming, and today, the Kunming Flying Tiger Opera Troupe traveled thousands of miles to the US to perform their story," he said. "These two events have one thing in common, and that is we want to spread Sino-US friendship and to safeguard world peace." 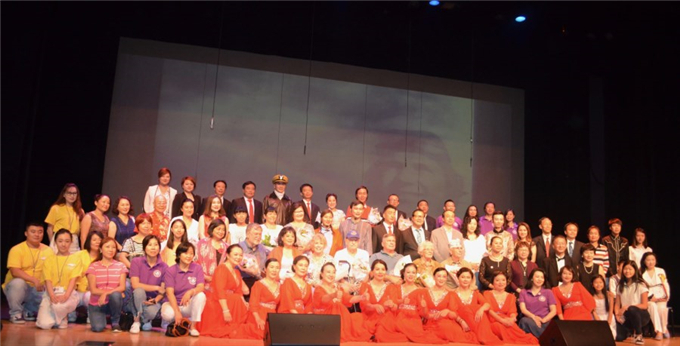 The show was performed by the Kunming Flying Tiger Opera Troupe and scripted by its founder Prof Lilian Liao. 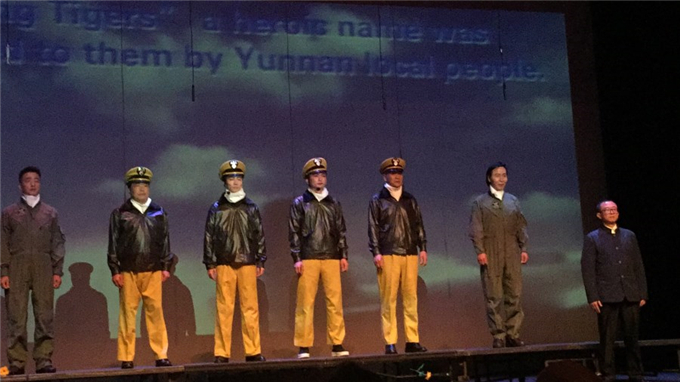 It tells the love story of Jimmy Fox, a member of the Flying Tigers, and a local Kunming girl named Yang Baoqing.